My brother is a pharmacist by day.. actually by night... he works what I would consider to be a brutal overnight shift... In addition to his aptitude for chemistry, he has always had an innate talent for art... He just sees things through a different lens... and I love it! He has decided to help me out with my "illustrator for hire - without pay" problem! Come a little closer. People gather ‘round. 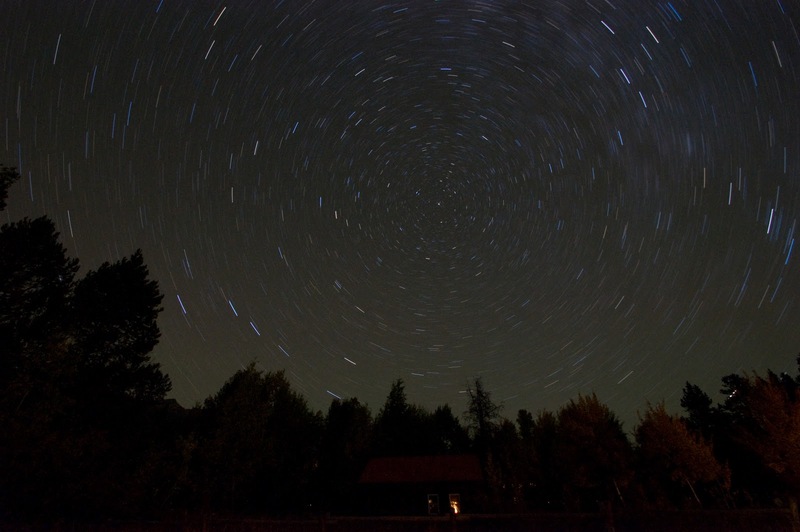 Open up your ears and listen to the sound. I know a jazzy tale sure to make you say “whoa!” A-one and a-two and away we go! That shines in the center of buildings so tall, where alley cats roam and creep along the wall. A man leans back upon the streetlight’s pole. He snaps his fingers to the rhythm in his soul. He’s lost in his music, and the alley cats sway. They sit by his side. Never will they stray. Yippity skippity hop bop cha. Bibbity Bobbity la dee da. Henry wanted to do everything. So Henry did everything halfway. Each morning his alarm rang at half past six. Henry put on half his school uniform because he did not like to wear his tie at breakfast. Henry could never decide what to eat, so he ate half an apple and half an orange with his toast. “Please spread half with peanut butter and half with jelly,” Henry told his mother. While he slid on his tie; already half-tied, Henry brushed his teeth but only the top half because he was late. He put half of his books in his bag and ran for the bus, already halfway down the block. Henry sat with Tori on the bus, but just until it reached the bridge. The bridge marked halfway to school, so he switched to sit with Josh after the bus crossed to the other side. During quiet study hour, Henry spent half of his time on math. When he worked through half of the problems, he decided to read half of his library book. The book was entertaining but Henry was nearly out of time, so he put it down to study his Spelling list. This week’s list was compound words. They were Henry’s favorite. If you split the word in half, you ended up with two separate words like, bath and room or play and ground. I love rhymes. I won't apologize. I gotta be me. Where the water stands high up to your knees; a little house sits; hidden by the trees. The middle of the swamp is so remote, you'll only get there by ridin’ in a boat. A lady makes her home deep within the bogs; where her only house guests are turtles and frogs. Liza Green lives where the moss hang low. She rocks in her chair and strums a banjo. If I could kayak with a yak, would our small boat sink? Would the yak lean toward the lake and try to take a drink? He could tip us over if he did not sit up straight. So I’d move him to the middle, to balance out the weight. I recently bought a book for a friend's daughter during my lunch hour. I sat in my car reading, clock ticking, before I re-entered adulthood. The text and artfully matched illustrations helped me completely forget where and who I was at that moment. I imagine this is The Goal. Rightly so, it also happens to be my aspiration in writing picture books. 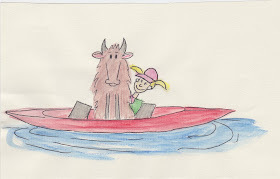 "If I could Kayak with a Yak" is a simple story I hope readers, or listeners, will connect to. Exploring one child's reservations on entertaining an unusual guest in his/her kayak reminds us of the power imagination can hold. "If I could Kayak with a Yak" is now a book... visit Lulu.com to check it out! I try to give credit where credit is due, so I need to send a thank-you to Will Terry (www.willterry.com) for suggesting I start this blog.... two posts in and I am certain it will be the high road. So, thank you for corresponding with me Mr. Terry! I hope this blog sees some traffic, and in turn more people are exposed to your striking and colorful work. Rock on! ...the blog that is, not the writing. I happen to have some years of accumulated writing, mostly children's picture book texts, which are clogging up my computer's memory stores. So I have decided to liberate them and share the starts of my stories with whomever would like to read them via the conduit of this blog. PS... 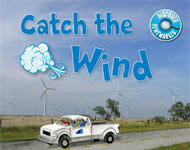 I am a published author (a children's science book on wind energy), so I do have relevant industry experience.... My husband thought I should add that.